Tam Nguyen is a young Vietnamese woman learning to speak and write English at the Literacy Volunteers of Coconino County. Under the tutelage of Joel Baillere, AIA, she wrote a composition in which she said, "Deeply inside each of us we have an empty area. We do not have a name on it or understand what it is. So we try to turn the empty feeling to the arts." The arts, as Tam writes, sense the awe and enchantment. Ironic it is that a newcomer to the English language from a distant land of our troubled past has put her finger on that experience with no name. However, the arts are not the only ways to touch the fringes of meaning. 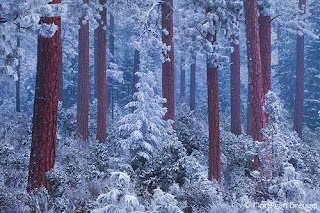 Listening to the silence of a snowfall on a winter's evening will do it. 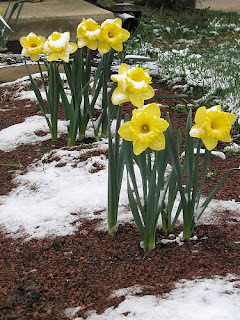 Spring, also, carries a sense of wonder, the experience of mystery. 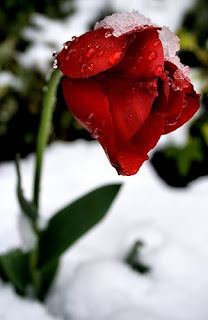 The emergence of daffodils or a tulip in retreating banks of snow, a wildflower in a meadow, the slow greening of a field all witness to that mystery freighted with meaning, the meaning that makes it all worthwhile. So much of this is the gift of gardeners and their gardens. Taken for granted, maybe even seen as eccentrics, gardeners paint their canvasses of beauty all over town, places that take us beyond the ordinary and the humdrum into the mysteries of beauty, allowing everyone to pause and sigh at wonders so often wrought. As Tam pointed out, it does not have a name because it is not an object "out there." It envelops us in the experience of the mystery, sweeping us up in a moment of transcendence in the "twinkling of an eye." Small scenes of these moments of transcendence can be seen throughout the city when two or three people pause before a garden to gaze at beauty, hold their breath, sigh, and then walk on. Some walk by without pausing, consummated in their boredom. Never once smelling the aroma of a bouquet of roses or pausing to admire its beauty, they seem coiled within themselves. Albert Camus in his essay The Minotaur wrote, "Obliged to live facing a wonderful landscape, the people of Oran have overcome that fearful ordeal by covering their city with very ugly constructions," "turning back upon themselves like a snail." Some people cannot abide the beautiful, much less the mysterious. In the same essay he mentions the friend of Flaubert "who, on the point of death, casting a last glance at this irreplaceable earth, exclaimed, 'Close the window; it's too beautiful.'" Along with artists, gardeners are the guardians of a community's soul. Just as a school without the arts is likely to turn out graduates without imagination, so a city without gardens is a city without a soul. Some say that they have no time to garden. Do they have no time for beauty? What kind of souls do they have? It is a wonder what these people think of themselves who let their yards go to weed or cover them with gravel's "very ugly constructions." 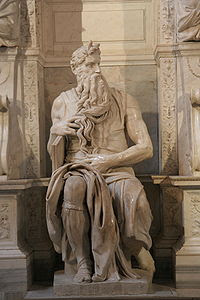 Legend has it that when Michelangelo finished his statue Moses, he was so taken with its life-like quality that he struck its knee with a hammer, crying out, "Now speak." Its knee is, indeed, scarred. We need no hammers with our gardens and flowers. They speak when we pause to look, and having looked we sigh for a brief encounter with the experience with no name. For that we can thank the gardeners who have names. You always say it so, so well. Thank you for nurturing my soul as well as my garden! To more gardens...more art....and less ugly constructions.....Thank you for reminding us to listen.